There are many tools available to help you measure everything from the width of a seam or a hem, to body dimensions, to the area of a window. 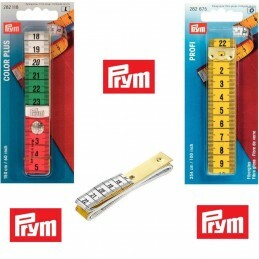 One of the most basic yet invaluable measuring tools is the tape measure. Be sure to keep yours in good condition - once it stretches or gets snipped on the edges, it will no longer be accurate and should be replaced. Tape Measures There are 5 products. Hemline is the largest and most international range of haberdashery in the world. All Hemline products are packaged in their own factory to ensure the highest quality standards are maintained.